Natural stone remains the most desired choice of materials for landscaping architects worldwide, and has established its place in history. There is no other material that can match it for beauty, strength, and the ability to withstand the ultimate test of time. Stones are an inexpensive and effective way to add life to any garden. Stones give structure and add character with their graceful lines, soft hues and quiet presence. Naturally-formed and weathered stones found in fields, mountains, rivers, and quarries, usually exhibit sharp or angular edges. 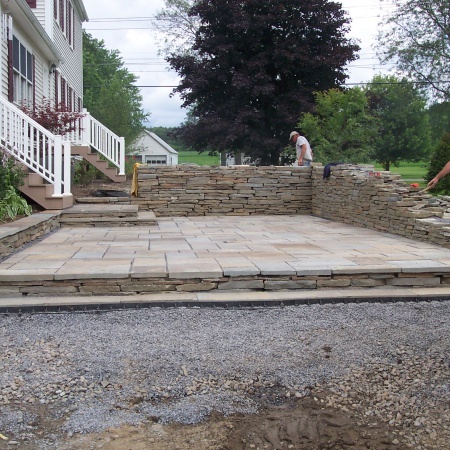 The primary uses for this type of stone include garden accents, driveway and property markers, natural steps and seats, and as accents in ponds, waterfalls, and rock gardens. Popular flagstone is available for patios in smooth and textured surfaces, thickness, and color. Changes in grade elevations provide maximum opportunities for landscaping enhancement with retaining walls. 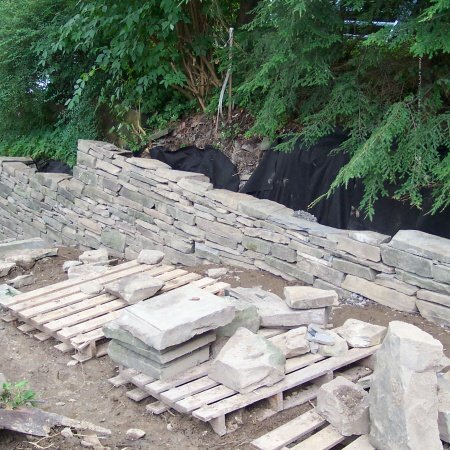 A wide range of weathered edge and snap-faced wall stone is available in a variety of thicknesses. The natural good looks of our landscaping timber and fencing blend perfectly with your garden or outdoor setting to create a peaceful environment your family can enjoy for many years. 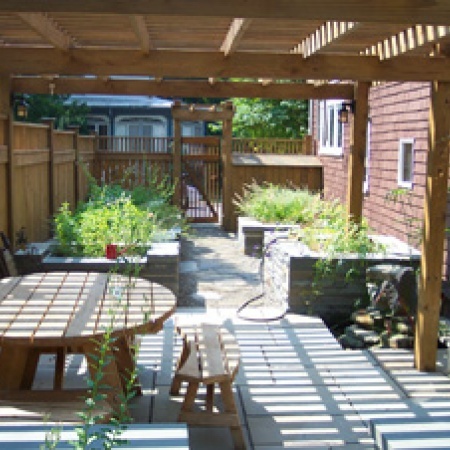 We use timber construction for steps, retaining walls, flower beds and many other applications. We have a strong background in natural stone construction, with several generation's experience in this field. Our skill and knowledge has been passed on from stonemasons at Letchworth State Park to our present owner. The quality of workmanship reflects our family tradition. Email or call us at 607-533-9163 for more information.